That’s a working title, but if we stick with it, I’m good. Let us go back to the early 1900s, when the Boston Red Sox traded away one of their most promising players to the New York Yankees. A pitcher named Babe Ruth. Babe was eventually taken off the mound and moved to right field because of his bat and the rest was history. What was left behind in Boston was the legendary “Curse of the Bambino.” After trading the Babe, Boston would not win a World Series for 86 years! 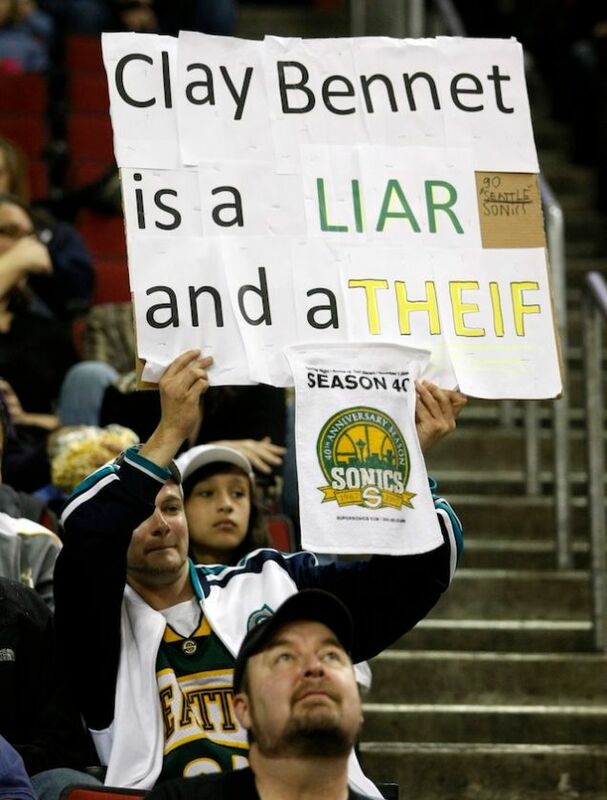 In 2008, new owner Clay Bennett packed up the Seattle Supersonics and moved them to Oklahoma City. Clay, if you’re keeping track, only 80 years to go! By the way: last night, the former Sonics lost to the San Antonio Spurs 112-77 and trail in that best of seven series 2-0? Oh, sure, letting it go and moving on with our lives would be the mature thing to do. What’s your point?